The Department of Culture and Tourism – Abu Dhabi (DCT Abu Dhabi) has launched a new manual to streamline the process of organising and implementing consumer fairs and exhibitions in the UAE capital. 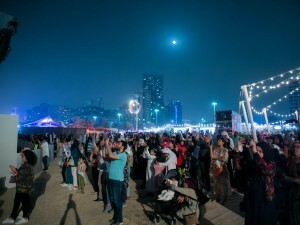 The new manual, which is available on DCT Abu Dhabi’s corporate website and Events Licensing System, covers such events as consumer exhibitions and events open to the public where products are sold and outlines best practices for ensuring each event offers an enhanced overall experience for visitors. The manual includes an explanation of the standards and procedures required to either maintain or improve facilities and services each event offers, as well as working in coordination with the DCT Abu Dhabi Events Licensing System, which provides a fast effective solution for registering and licensing all events held in Abu Dhabi. It incorporates a database for event type and information, category, speakers and activities, as well as containing indicators of tourism performance, growth orientations and of an event’s success and fulfillment of its set objectives. “This new manual lays out DCT Abu Dhabi’s recommended procedures for organising and presenting consumer fairs and exhibitions. This reflects our commitment to streamlining the process of hosting events here in Abu Dhabi, and we hope the manual will act as a catalyst for entrepreneurs and small-to-medium sized businesses with an interest in putting on events in the UAE capital,” said Nasser Al Rayami, Licence & Regulatory Compliance Department Director, DCT Abu Dhabi.